I’d have to vote for 64 bit sims too. OOMs as history (at least for a very long time) is gigantic. There’s been occasional official hints as the above from Eagle Dynamics for years that they will even do an F-16, either themselves or by an associated studio, so it could certainly happen. In the past, the hints have quietly faded though. However, sInce DCS is a completely different platform from FSX/P3D/XP11/FS 2, the likelihood of Aerosoft doing what would be a one-off project for a radically different sim is almost certainly zero. As you may know, the Aerosoft F-16 is licensed to LM by Aerosoft as a stock aircraft in P3D. Also, please provide the complete route so I can check that? In the meantime, please see if the folllwing route works for you. By the way, we have discovered a bug that MIGHT be affecting this issue. Please take a look at the following thread and see if there are any similarities to what you are experiencing? This is not normal operation of either the Aerosoft View system or the standard views for the Airbus. There is never any need to adjust the cameras for the aircraft. 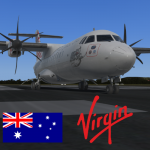 So, something must have happened with your config type files, as I can say that all views work just fine in the Airbus whether you're using standard views (Airbus view system turned off in the MCDU settings), the Airbus view system itself, EZDoc and Chaseplane work fine with our software as well. I would uninstall, remove any remaining Airbus files EXCEPT the GENERAL folder. If you're installed to a default location then you'll find the folders/files in your Documents/Aerosoft folder. Then reboot, reinstall the Airbus Pro, reboot, and then give it a try. If you have added any liveries, be sure to back them up using the Livery Manager. Let us know how you make out? Best wishes. I don't have ORBX Vector..let check the ORBX folder and i'll get back to you.